YouTube is the second most popular web browser and only ranks behind Google for most searches. There are so many YouTube tips and tricks that you can find on the internet and they pretty much say the same things. Make sure the videos are taken in a high definition resolution or put the right tags on the video so others can search for it. You can get answers to just about any question you have about this site but this will talk about some of the little things that many may not even think about. The following are some YouTube tips you’ve never given a second thought. You do get some choices when it comes to the video thumbnails that you want to choose. Many people skip this step and simply use the thumbnail that YouTube defaults to. Look through the thumbnails that are offered and choose the one that represents your video the best. This is the first thing that people see so you want it to stand out and make people want to watch the full video. If you are posting a video for your company you may want a thumbnail with your company’s logo on it. If you plan on embedding your video to your own website you can add a clickable link into the video. These links do not work on the YouTube site as they are only allowed for not for profit charities but they do work when embedded in an outside website. LinkedTube us a great program that allows you to add in this link so others can use it to go to the product or service the video is showing. This is a huge boost for those who also use Facebook and other social media to share their videos for marketing purposes. There is a feature on YouTube that allows you to search for videos and then watch the later when you want. Maybe you don’t have time right now to watch the video but you don’t want to search for it again. You can click on the clock on the bottom right corner of the thumbnail and then click on watch later. When you want, you can go to watch later in the top left side of the screen and click on the link. All the videos that you have saved for later will come up with other videos that you have recently watched. There are so many YouTube tips and tricks out there but they mostly offer the same advice that you can find anywhere. They typically talk about common issues such as tagging your video or making sure that you use the proper title. The above are some of the more uncommon but equally important tips to both maximize your viewing pleasure or to make your videos look better by using a great thumbnail. 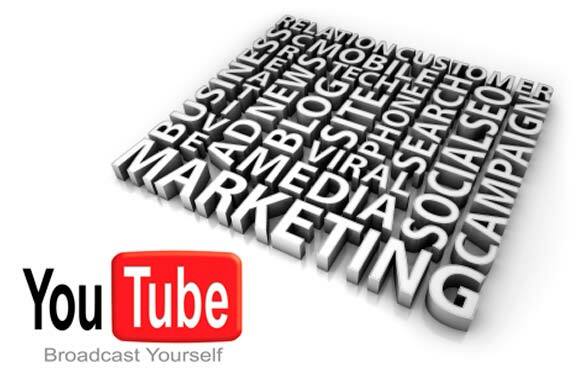 The main thing to remember is to make sure that you are using YouTube to market your company in a positive light and to have fun with your experience. About Author: Brent Johnson is crazy about YouTube and enjoys making and sharing his own videos as well as writing about the video-sharing site to help others. Great Share and Thanks too..!! I agree with all your points.